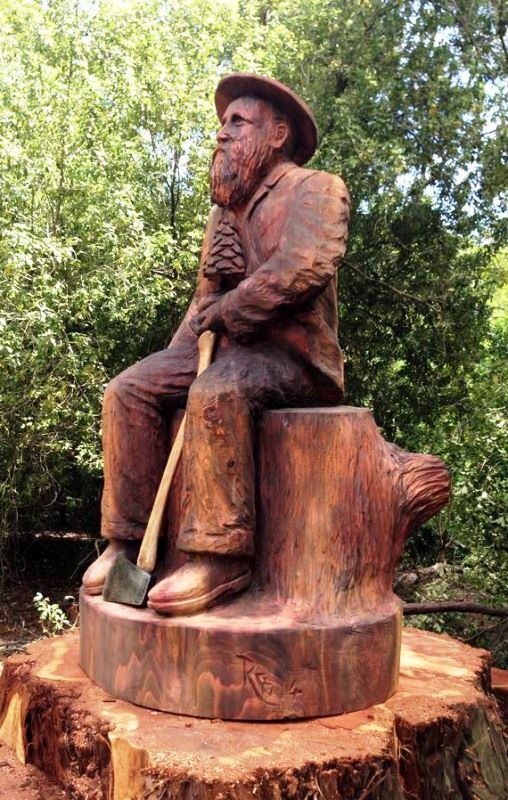 A carved Sequoia tree sculpture commemorates John La Gerche who was appointed the Crown Lands Bailiff to supervise the Creswick - Ballarat State Forest. John La Gerche undertook early trials of establishing Eucalyptus globulus near Creswick, and raised Eucalyptus camaldulendis and Eucalyptus cladocalyx seedlings in the government's Creswick nursery in the late 1890s. He established many plantations in and around Creswick. Creswick Railway Workshops Association Inc.